Dimensions 12 ft x 12 ft x 9.5 ft tall. OINK IM PEPPA PIG AND THIS IS MY LITTLE BROTHER GEORGE. 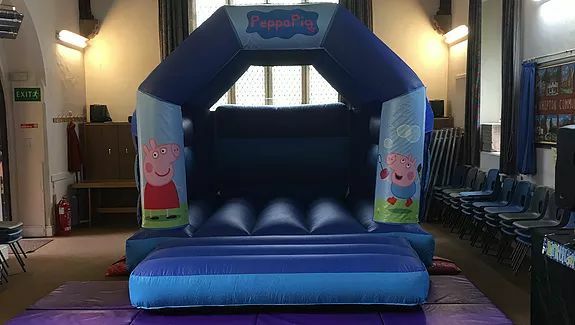 Peppa pig castle is able to fit in most halls and gardens. Perfect for any peppa mad fan! Suitable for piggy's up to 1.5m tall.